I’m not sure if there is one meal menu at Easter on Prince Edward Island that is more common than another. Some families have the tradition of a roast beef dinner while others enjoy a roast turkey dinner with all the trimmings. 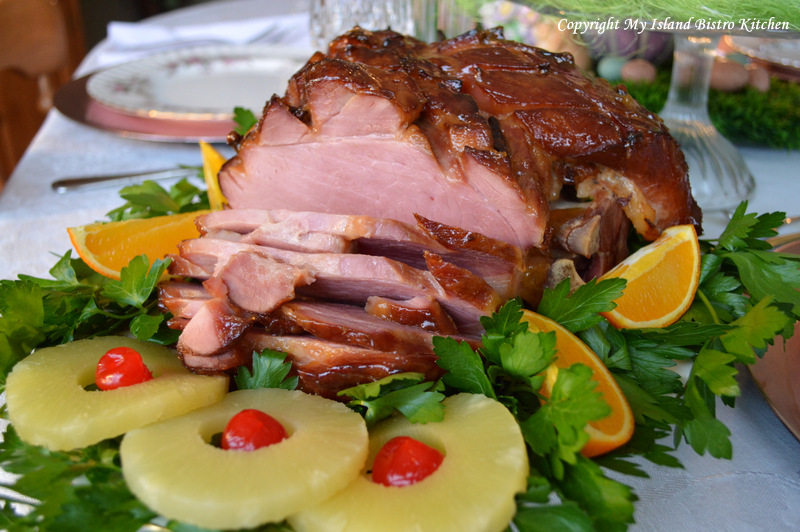 Others say it just isn’t Easter dinner unless baked ham is on the table. 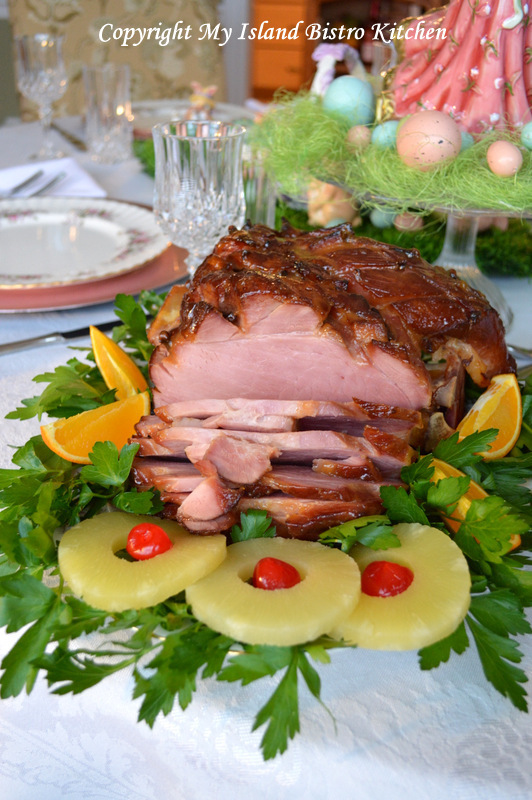 This year, for my Easter dinner, I featured a glazed baked ham studded with whole cloves. When I have ham, I traditionally boil it and add all the veggies to the same pot in the last 30-40 minutes and let them cook in the broth. You can find my recipe for this comfort food meal here. However, for Easter, I decided to make it a bit more special by baking and glazing the ham. Hams are very economical when bought on sale and they yield a good amount of meat if you are serving a crowd or wanting leftovers — I love leftovers because it means a few days of little meal prep! For this baked ham, I started out with a cured ham (bone in). I scored the surface of the ham in a diamond pattern, cutting in between 1/8″ and 1/4″. At the intersection of each diamond, I inserted a whole clove. The oven was preheated to 325F and the large roaster was lined with tin foil to make clean up easier. The ham was placed on the roaster’s wire rack. 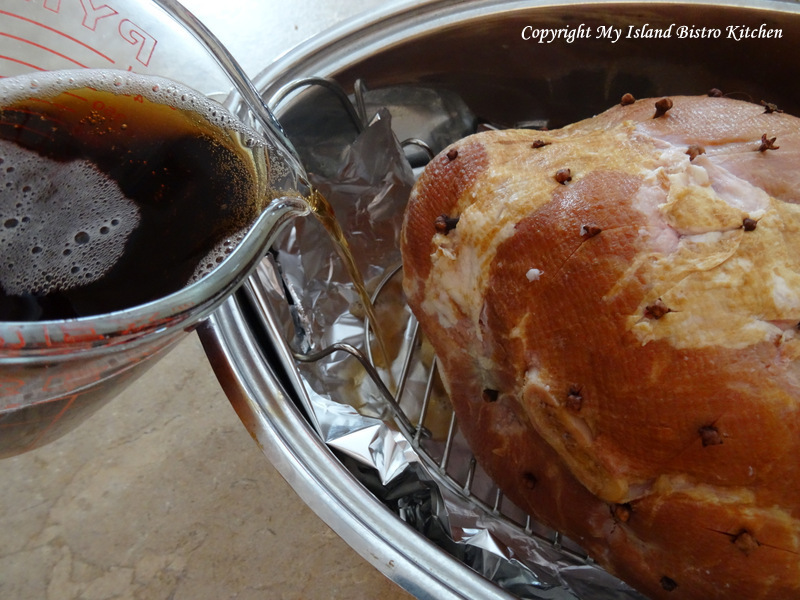 I then poured 1 1/2 cups of root beer into the roaster, ensuring that the ham was not sitting in the root beer. 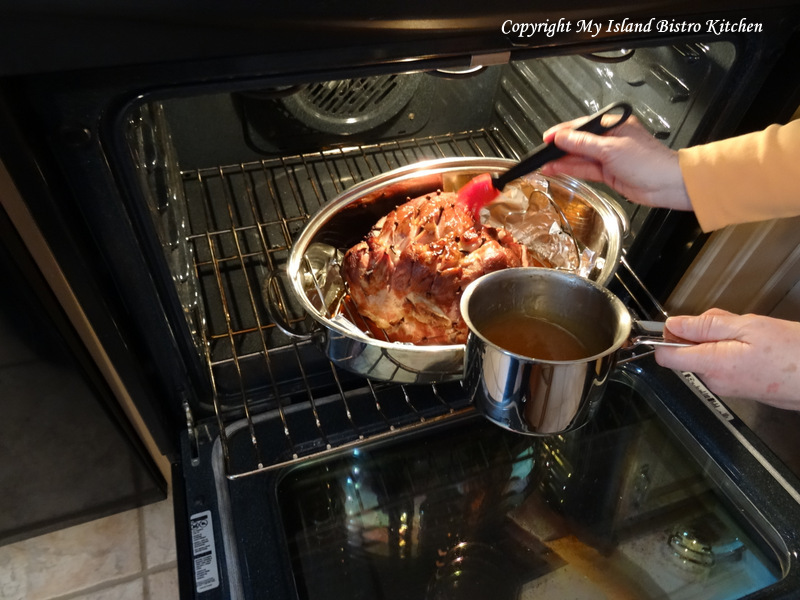 I brushed a very thin, light coating of the sweet and tasty glaze on the ham (recipe follows). The cover was placed on the roaster and the baking began as the steam from the root beer infused the ham with additional flavor as it baked. About 50 minutes before I estimated the ham to be baked, I applied a thicker coating of the glaze, making sure it penetrated into the ham meat through the scored lines and I returned the ham to the oven to continue baking. About 25 minutes later, I reapplied the glaze. 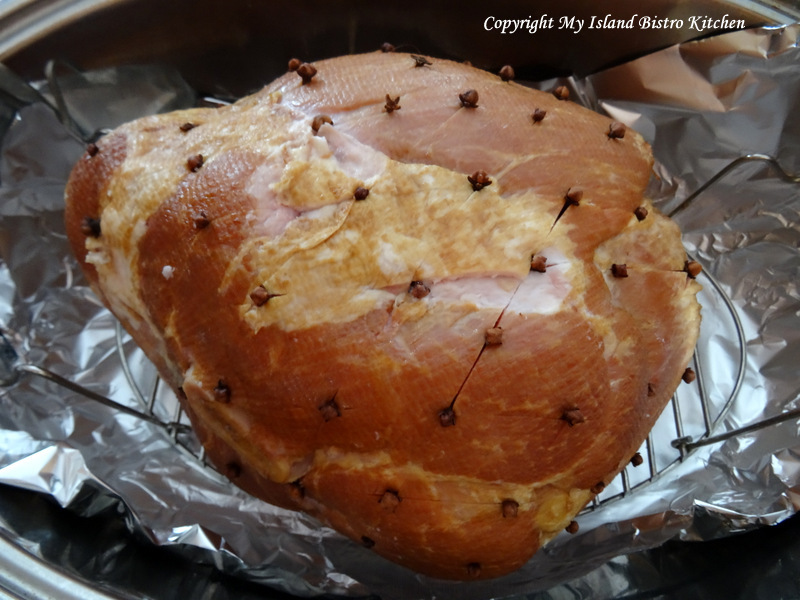 When the ham was cooked, I removed it from the oven and let it rest about 15 minutes before carving it. This makes it much easier to carve clean slices that stay whole. 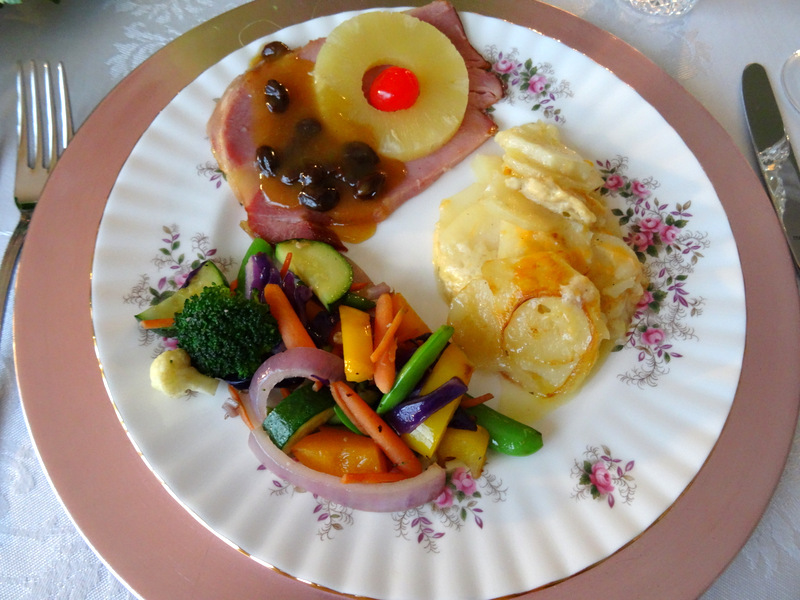 The ham was served with scalloped potatoes and a medley of stir-fried colorful vegetables. 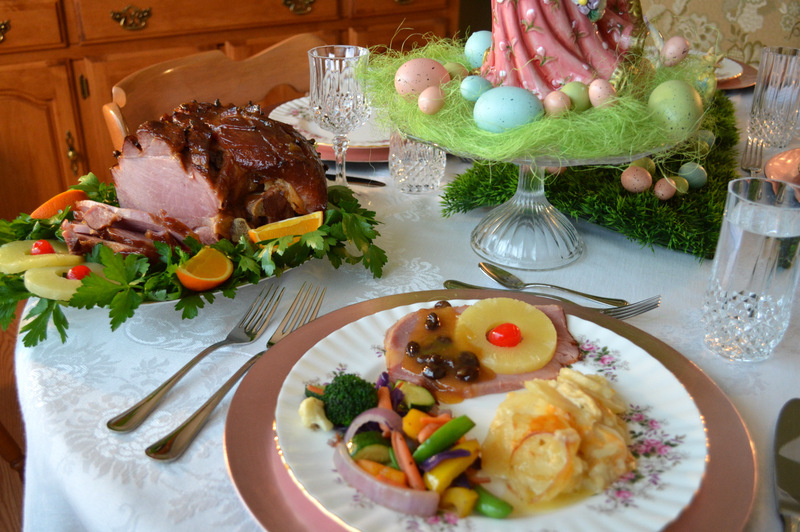 What foods do you traditionally serve at Easter? 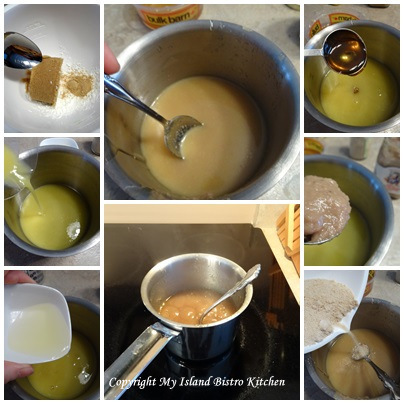 Combine brown sugar and cornstarch together. 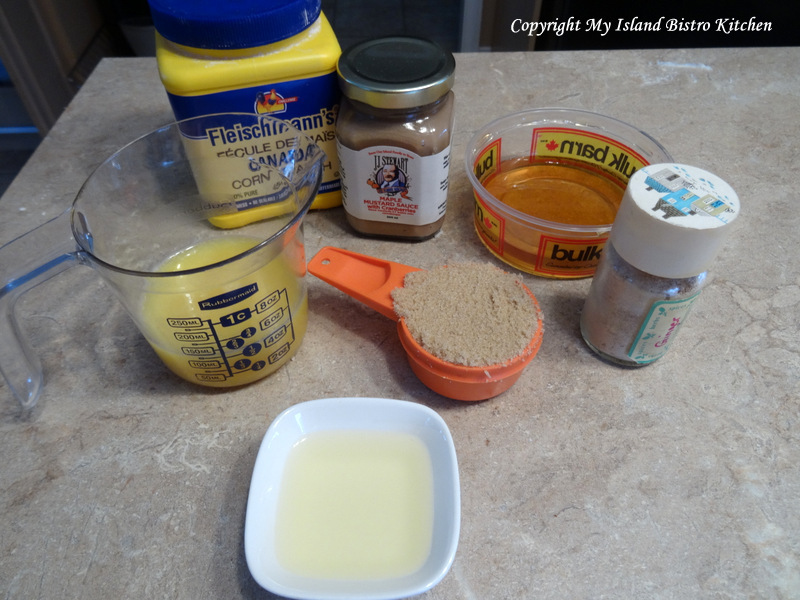 Add all remaining ingredients into a small saucepan. Stir in the brown sugar-cornstarch mixture. Bring to a boil over medium heat, stirring constantly until slightly thickened. Brush very lightly over uncooked ham. 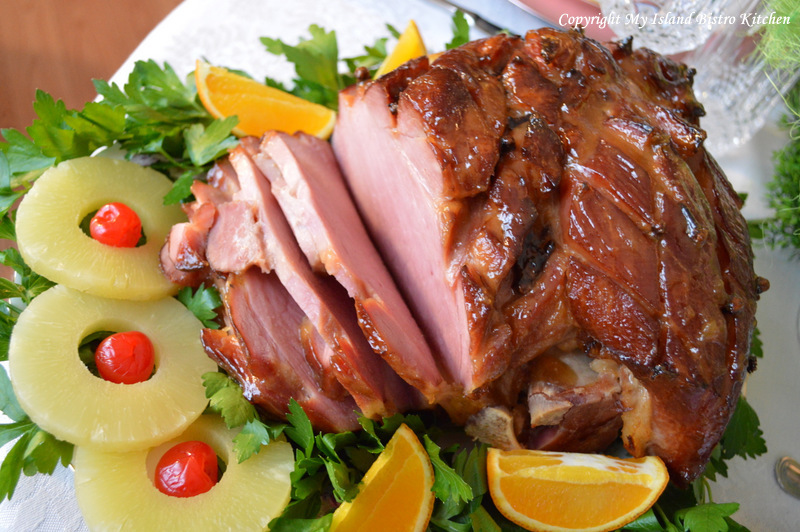 About 50 minutes before ham is estimated to be baked, apply a thicker coat of the glaze to the ham, ensuring it penetrates into the diagonal cuts in the surface of the ham. About 25 minutes later, apply another coat of the glaze and return to oven to finish baking. Allow ham to rest for about 15 minutes before carving.